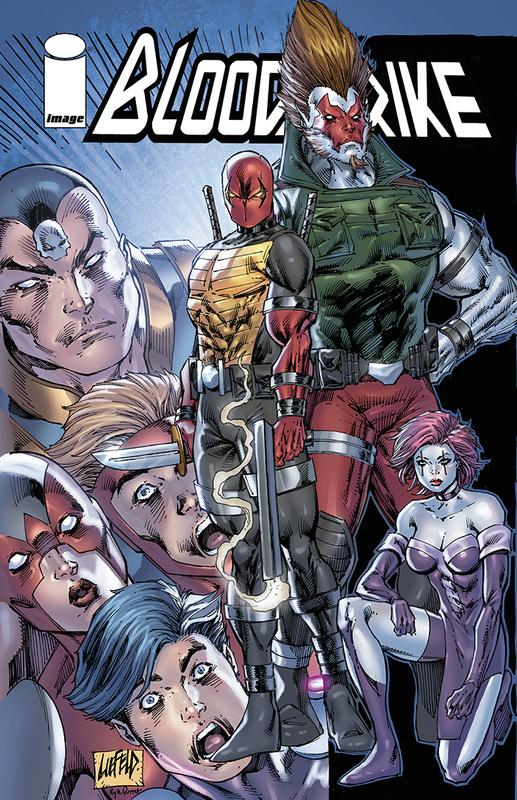 Legendary comics writer Rob Liefeld (YOUNGBLOOD, COVENANT, Deadpool) brings readers an all-new ongoing series in BLOODSTRIKE #1. The new series will offer a lively romp and display a more mature side to Liefeld than fans have previously experienced. "After 28 years in the wonderful comic book business, the stories I'm interested in creating are stories that take you on a wild ride. Otherwise, why bother?" said Liefeld. Bloodstrike is by far the wildest ride I've ever produced and continues concepts and characters I introduced at Image when this amazing company launched. It is a decidedly more contemporary take and is intended for mature readers and will be labeled as such. Very excited to get this out to the public for their consumption!"